YONGNUO YN50mm F1.8 Lens Large Aperture Auto Focus Lens For Nikon Feature F1.8 large aperture, virtual background, which makes photography with more fun. 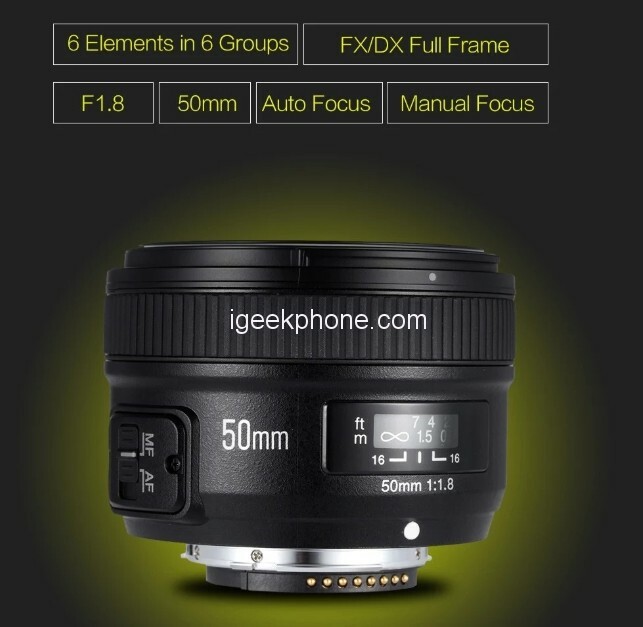 Support auto focus and manual focus mode. Adopts gold plating for the metal contacts, effectively improve the signal conductivity and corrosion resistance. a great prime lens that is an excellent addition to the Nikon 12-50mm kit lens. This lens gives you 3 stops or eight times (2x2x2) more light coming through the lens opening than standard f/5.6 kit lenses. 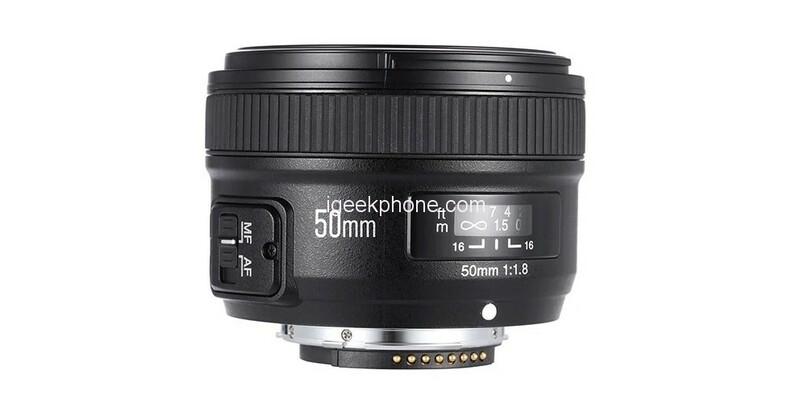 Great lens for taking portraits, low light photography, street, casual shooting, and everyday use. Adopts gold plated metal contacts, which effectively improves the signal conductivity and corrosion resistance. Supports full-frame and APS-C format cameras, Adopts high-quality plastic as external structure, the overall weight is only 200g, which is convenient for outdoor shooting.8, Multi-coated glass, effectively improves the transmittance and flare resistance. 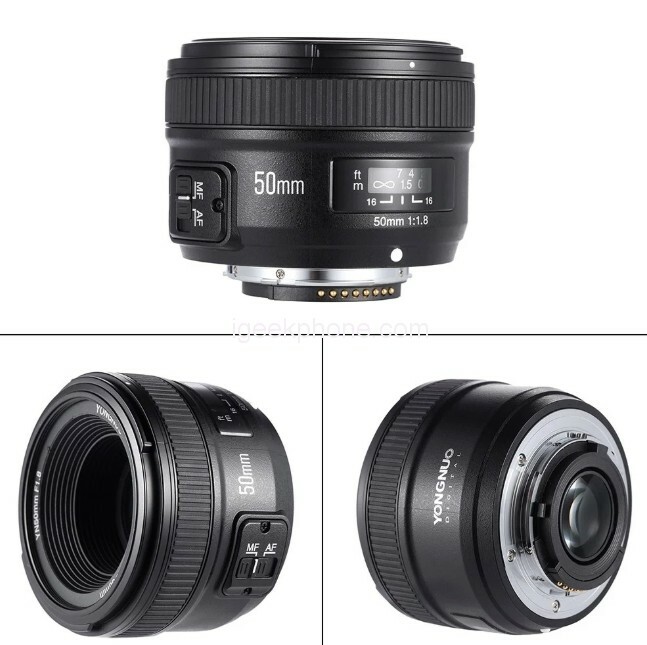 A compact normal-length prime designed for Nikon DSLRs, the YN 50mm f/1.8 Lens from Yongnuo pairs the classic 50mm focal length with a bright f/1.8 maximum aperture to suit working in a variety of situations. Multi-coated glass elements reduce the effects of lens flare and ghosting for greater contrast and maintained color accuracy. An AF/MF switch on the lens barrel permits quick switching between focusing methods, and the lens can focus as closely as 1.5′ to suit photographing close-up subjects. Additionally, gold-plated contacts permit working with all exposure modes as well as transferring lens information to the EXIF data. A tried-and-true lens construction with design enhancements to benefit handling, this lens is an ideal walk-around lens for everyday shooting. Next Article Wang Teng Leaked Xiaomi Mi 9 Real Phone Photos: With Three Cameras?